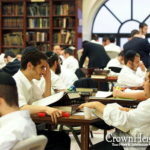 Monday night, on the campus of the Rabbinical College of America, the air was filled with the sound of Bochurim pilpuling zich in the Rebbe’s Torah. 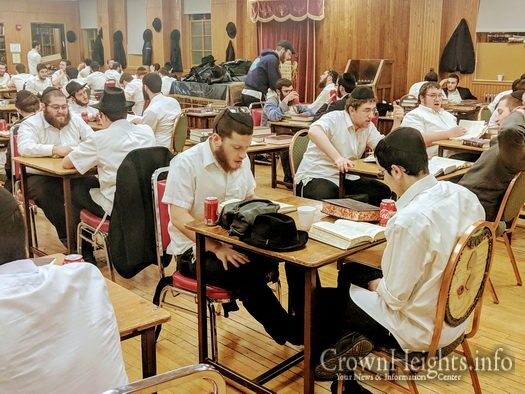 In honor of 27 Adar, The Bochurim went to the Ohel in the morning and a special Seder Sichos was attended by over 125 Bochurim. This Seder was arranged to be mosif in the Koch in the Rebbe’s Torah. 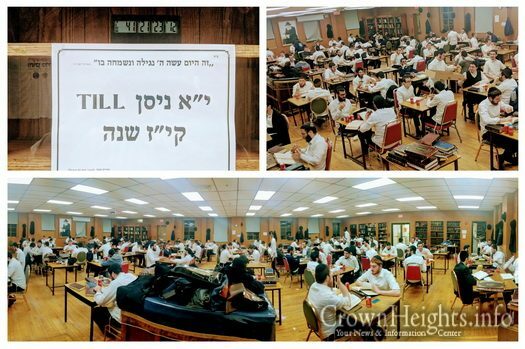 “It got the Olam on a roll for the upcoming Yom Tov of Yud Aleph Nissan” says Dov D.
After the success of the Mivtzah “Halikut” by the Vaad Talmidei Hatmimim Haolomi, a Mivtzah was started a couple weeks ago, to learn and become bahavent in a chelek of Lekutei Sichos by heart. 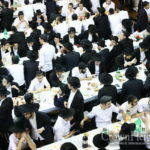 The Bochurim took to this Mivtzah with a big and tremendous shturem, and more than 75 Bochurim have been involved. “m’darf poshut hareven un m’darf machen hachonos” says Zev K. after the Mivtzah for Yud Aleph Nissan was launched. 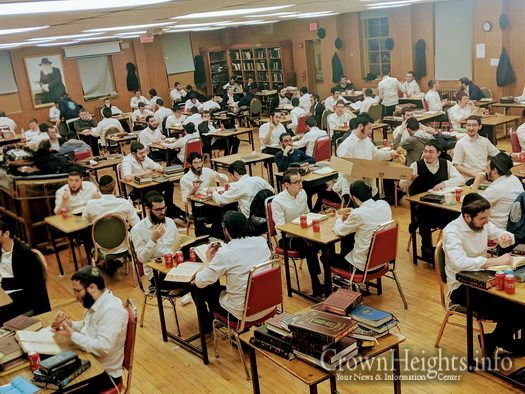 Weekly preparatory Farbrengens are well joined, and the daily viewings of the Rebbe’s Farbrengens are attended by tens of Bochurim in the new “JemStream” room. 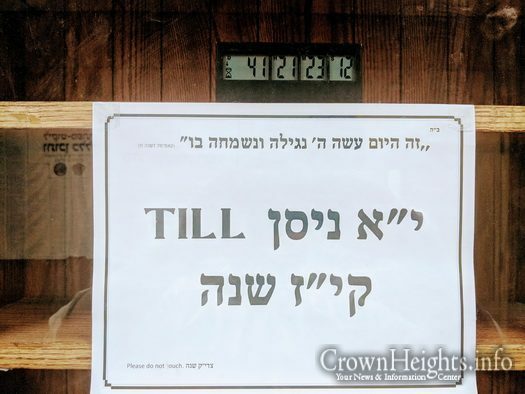 A special timer has been placed in the lobby of Yeshivah counting down the days, hours, minutes and seconds to Yud Aleph Nissan. This is what we call a good Yeshivah! !